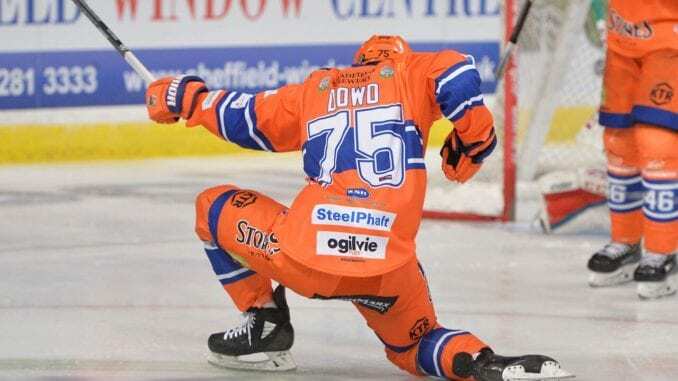 Sheffield Steelers forward Robert Dowd has won this week’s British Player of the Week after picking up three goals and an assist in his team’s two games. Results wise, it was a mixed couple of games with Steelers losing then winning 4-2 against Belfast Giants at home in a double header against the league leaders. But for Dowd, who won man of the match in both games, his efforts have been recognised by fans, of whom 39% voted for him in this week’s poll. Another four contenders lined up for this week’s crown, with all four playing a part in their team’s successes this weekend. But who will you go for? He takes his tally for the season to 10 goals and five assists after his haul at the weekend, taking him into the top five scoring Brits in the Elite League so far this season. In the vote, his closest challenger was fellow Brit, Ollie Betteridge of Nottingham Panthers, with 33% followed by 21% for Guildford Flames’ John Dunbar. 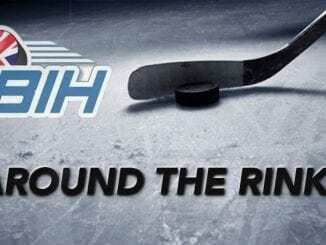 For Steelers, it’s a run that is now up to eight wins in their last 10 as they sit in sixth place, two points behind Guildford Flames as they get ready to face Glasgow Clan on Wednesday.